Wild Ginger is the perfect restaurant for all occasions, from a quiet romantic date night, to celebrating a memorable event, to a working lunch meeting. 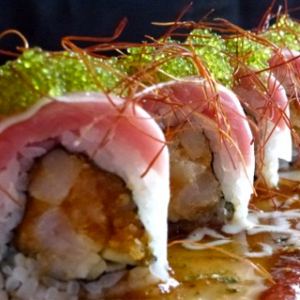 Come experience Wild Ginger. From Sushi to Asian Fusion to Sake, we have something for everyone — even dessert. 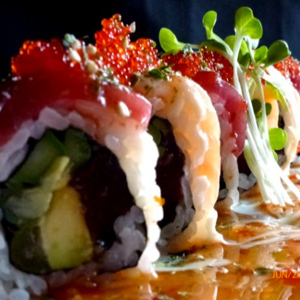 An award-winning sushi restaurant in the Highlands of Louisville, KY – Wild Ginger is a locally-owned, asian-fusion eatery with an eclectic blend of modern and contemporary cuisine. We offer a wide assortment of classic staples – nigiri, sashimi, and maki – but separate ourselves from the competition with our one-of-a-kind hot and cold specialty rolls. All of our sushi is charged with super fresh seafood to ensure our customers are totally satisfied with the quality. Our complete kitchen carries our menu beyond sushi with an assortment of carefully seasoned noodle and rice dishes, merged with a variety of tasty meats and vegetables, with vegetarian, vegan, and even gluten free choices available. We have a full bar with a wide selection of wine, liquor, beer, and some of the best sake in town. Stop by or phone in a carryout order and you will see why we are entering our fifth successful year of operation. We look forward to serving you soon!